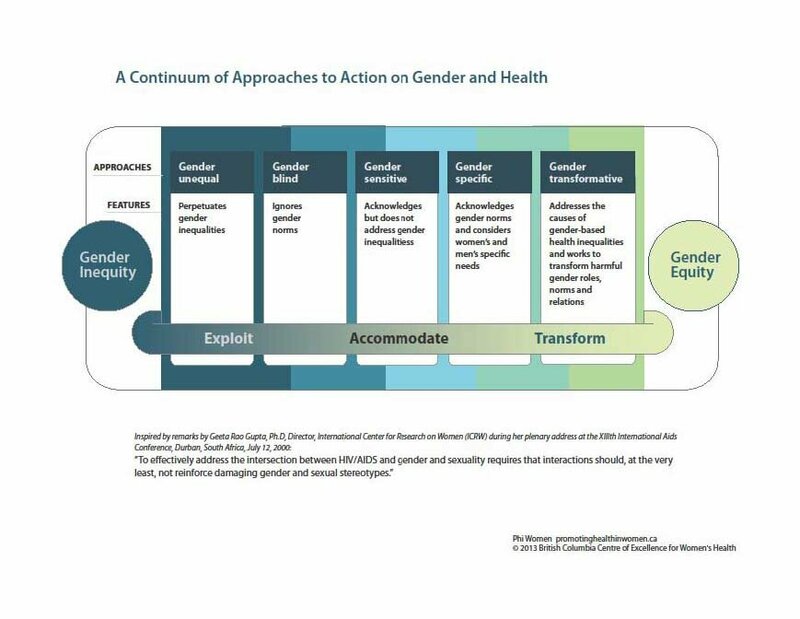 Gender-specific programs acknowledge that gender norms, roles and relations exist and have an impact on access to or control over resources. This may mean targeting a program specifically at women or men, and accommodating gender norms but not working to address or change them. Programs that provide child-minding for women can be gender-specific but not necessarily gender-transformative because they do not challenge why women are responsible for children when they need their own health care. Programs that offer women-only spaces may be accommodating gender norms, without asking why mixed spaces are unsafe or deemed unsuitable for women. While obviously an important approach, gender specific programs do not necessarily address the root causes of gender imbalances in power, resources or opportunities. Vancouver Street Soccer League is a non-profit organisation which uses soccer to inspire and empower. The League is made up of teams that provide friendship for the homeless, physical fitness for the ill and addicted, direction for at-risk youth, and cultural focus for unique communities. The League is part of Street Soccer Canada which promotes sport as social inclusion. Through international tournaments and city leagues, Street Soccer Canada has been working on including those, who may otherwise be excluded, through physical activity and sport. Some of the players in these local programs have gone on to the Homeless World Cup. The Homeless World Cup counts more than 70 international partners around the world. More than 40 also engage with women and use the power of “football” to help empower them. To date, 41 countries engage with women and 27 provide women-only football sessions. During the Homeless World Cup annual tournament, teams are mixed so women can take part too or they can compete in the women-only competition: the Women’s Homeless World Cup. Programs are different and the women they help through football can be in very different situations or come from different backgrounds.